It's official Wicked Tulips opened on May 1st! Wicked Tulips has the largest u-pick tulip field in New England - tulip lovers, mark your calendars! 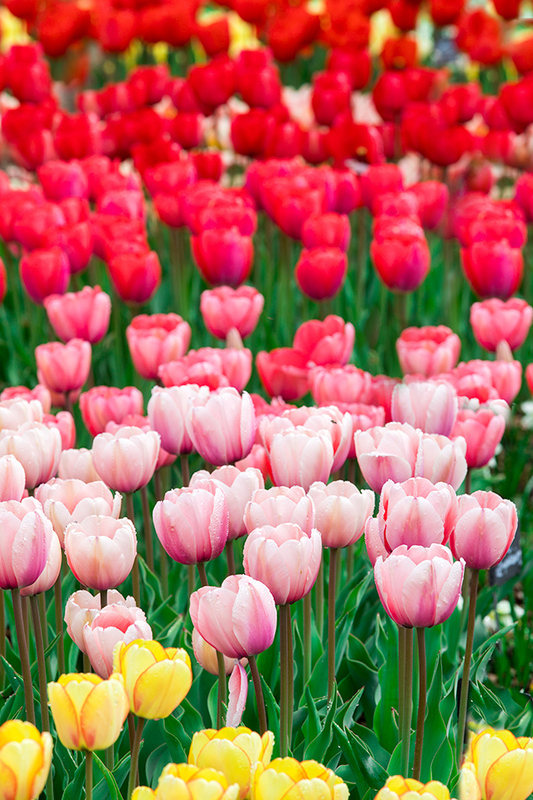 Tiptoe through their tulip field, experience the sights, sounds, and smells of spring on a historic farm and bring home a fresh handpicked bouquet of the most amazing tulips you have ever seen. Young, old, singles, families, friends, romantic dates, green thumbs or black thumbs, bring your camera, a blanket and prepare to make some beautiful memories. Buy tickets + schedule your visit here! Taylor Smalley will be building you through an all-levels vinyasa flow yoga session every Sunday at 8:30am (weather permitting) for 60 minutes. Taylor is a Certified Raffa Yoga Instructor with an emphasis on vinyasa flow. Her teaching style is designed to make you feel strong and confident. She is committed to sharing her passion for health and wellness with her students. Make sure and dress accordingly as this class will be held outdoors in the tuplid field. Make sure and bring your own mat and water. This class is suited for everyone - beginners welcomed!